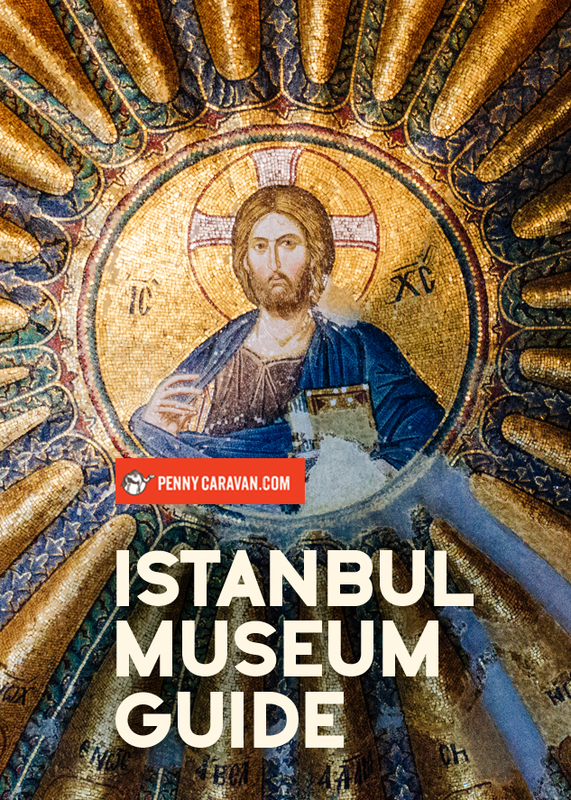 If you’re visiting Istanbul for a few days, you may want to invest in a museum pass. This pass is 85TL (about $30) and grants entry to the following museums and attractions for 120 hours from your first visit: Hagia Sophia Museum, Topkapı Palace Museum, Istanbul Archaeological Museums, Mosaic Museum, Museum of Turkish and Islamic Arts, Museum for the History of Science and Technology in Islam, Chora Museum, Galata Mevlevi House Museum, Yıldız Palace, Rumeli Hisar Museum, Fethiye Museum. 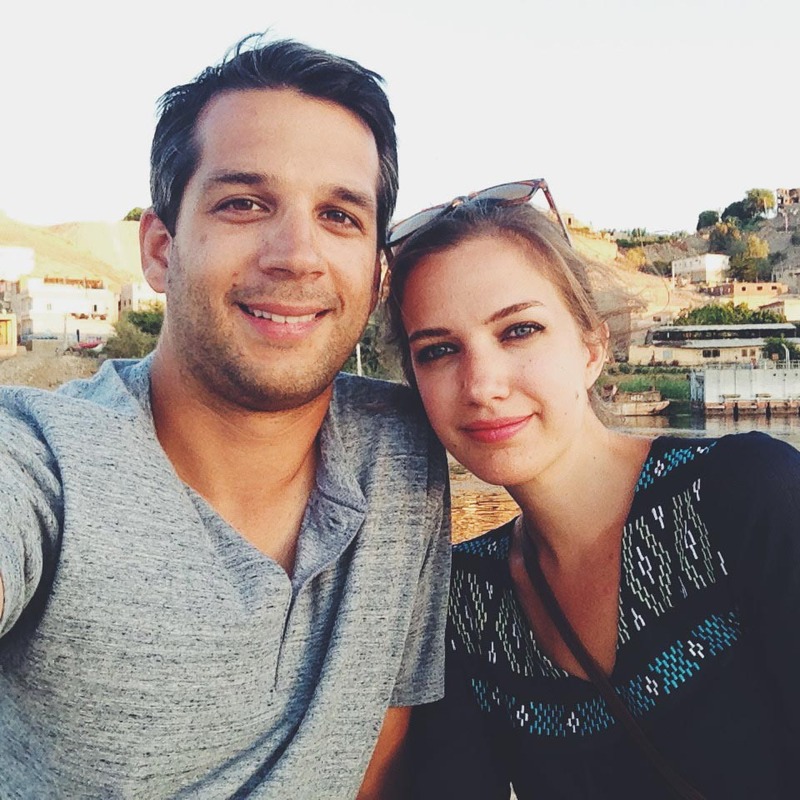 On our first day in Istanbul, we stood in line nearly an hour to buy our museum pass at Topkapi Palace! This is one of the most visited and most crowded attractions to which the Museum Pass grants entry. 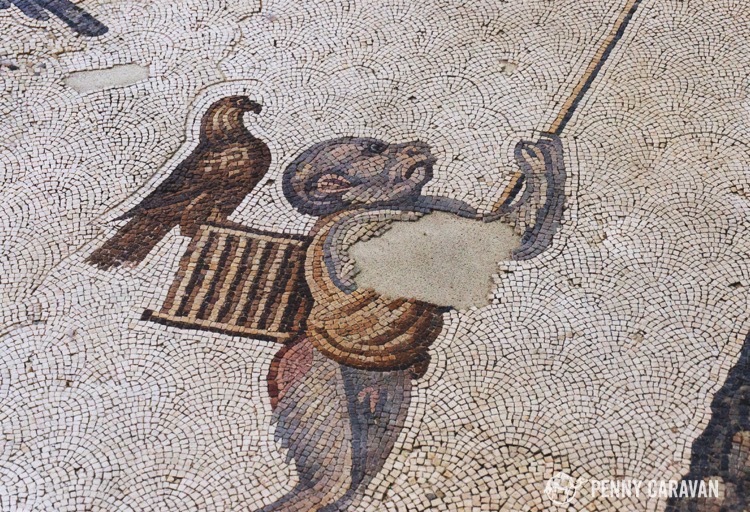 Pro Tip: Get your Museum Pass at one of the less crowded museums like the Mosaic Museum which is in the Arasta Bazaar by the Blue Mosque. 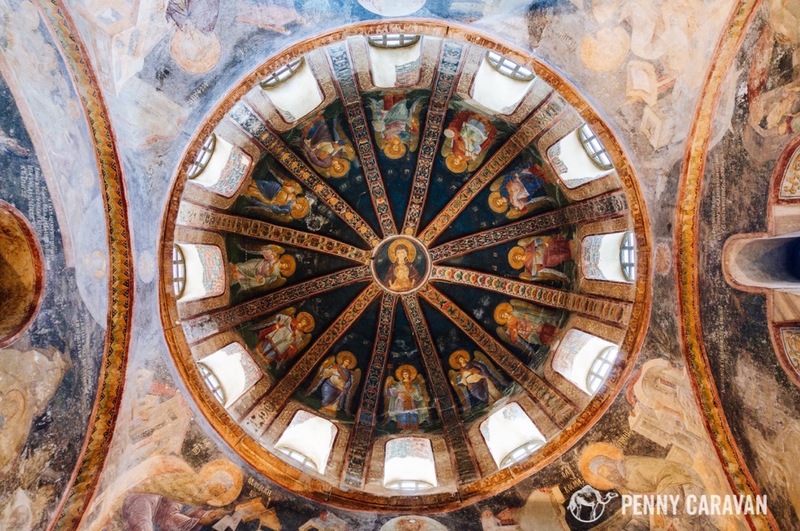 Or hop in a taxi and start with the Chora Church which is a good 10 minutes from the city center. 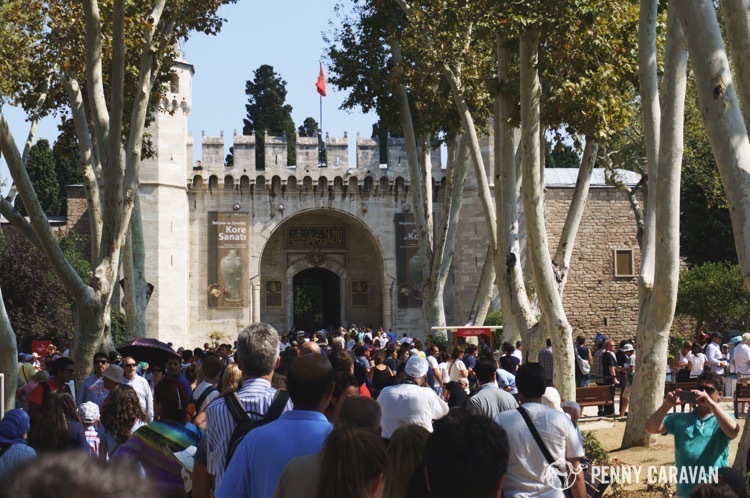 Then when you get to the busy places like Topkapi Palace, you can skip the line completely. 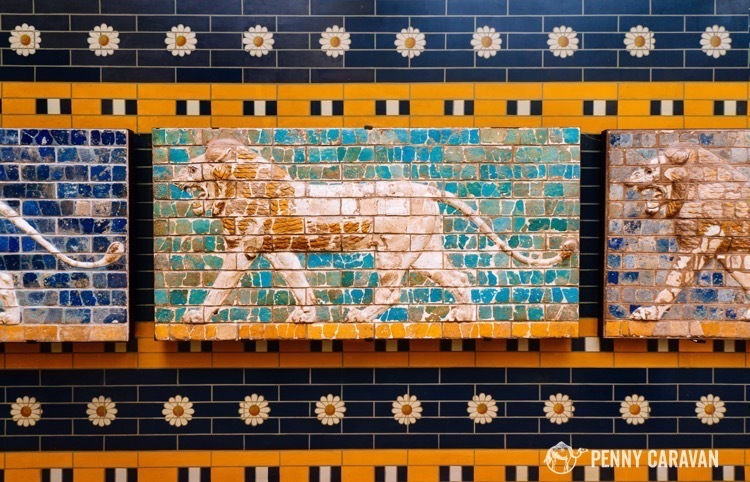 Below I will review each of the museums that we visited, but you can find a full list of Istanbul museums and monuments here. The Museum of Turkish and Islamic Arts has been closed for renovation both times we visited in 2013 and 2014, so I am eagerly awaiting its reopening. *Saw it in 2015, and have added it below! I also can’t believe I missed Orhan Pamuk’s Museum of Innocence, based off his book Museum of Innocence, and which houses a collection of everyday 20th century Istanbul life. Buried below the Arasta Bazaar just next to the Blue Mosque are the byzantine mosaic floor remains of the Great Palace of Constantinople, attributed to the emperor Justinian who reigned from 527-565. They are incredibly detailed and very entertaining! It’s a small museum and well worth 30 minutes of your time. 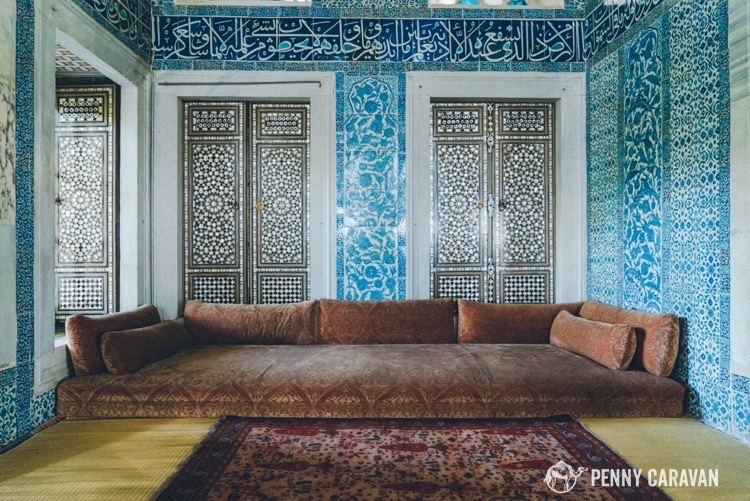 For 400 years, this sprawling palace property housed the Ottoman sultans, their families, harems, and support staff, which could total up to 4,000 people. It also acted as a setting for state functions, meetings and entertainment. 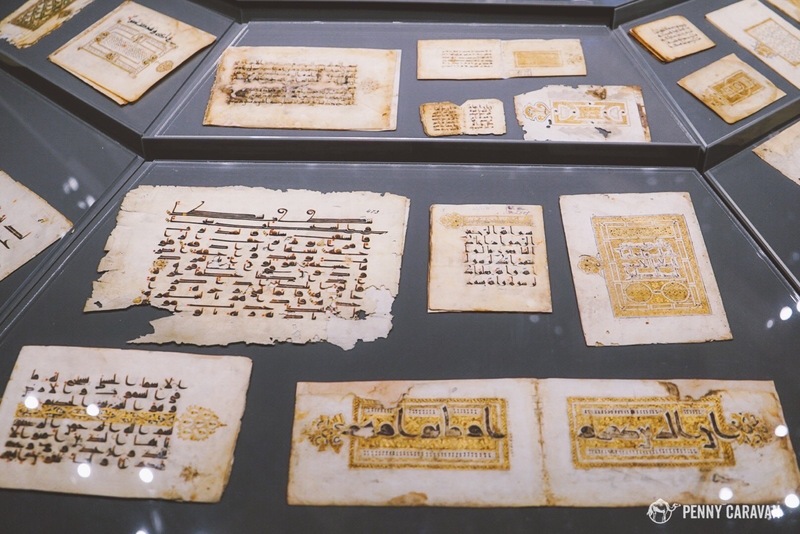 It now houses a museum collection of state artifacts including an armory, manuscripts, a clock collection, rare Chinese porcelain and celadon, as well as religious Islamic relics including (they say) Mohammed’s sword, Moses’ staff and David’s slingshot. Please note, the religious relics exhibit is treated as a holy place. You should be properly dressed, quiet, and respectful. Photos are allowed on the property but not inside the exhibits. 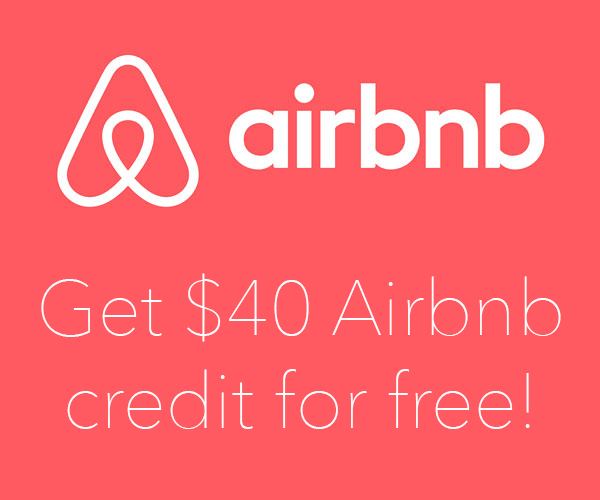 You will need at least half a day to see everything here! Wearing a light scarf is a good way for women to have an impromptu head covering. 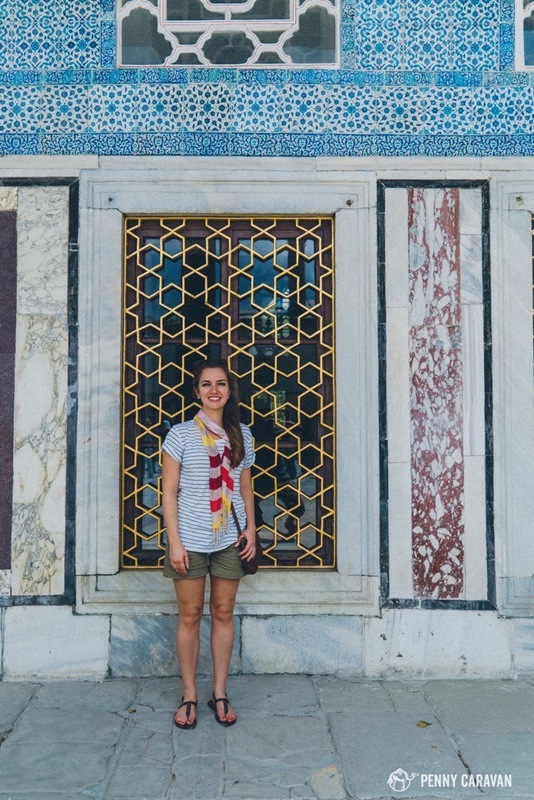 But if you’re wearing shorts like I was, you’ll be given a long wrap skirt to visit any religious sites like the holy relics room inside Topkapi Palace (this goes for men, too). 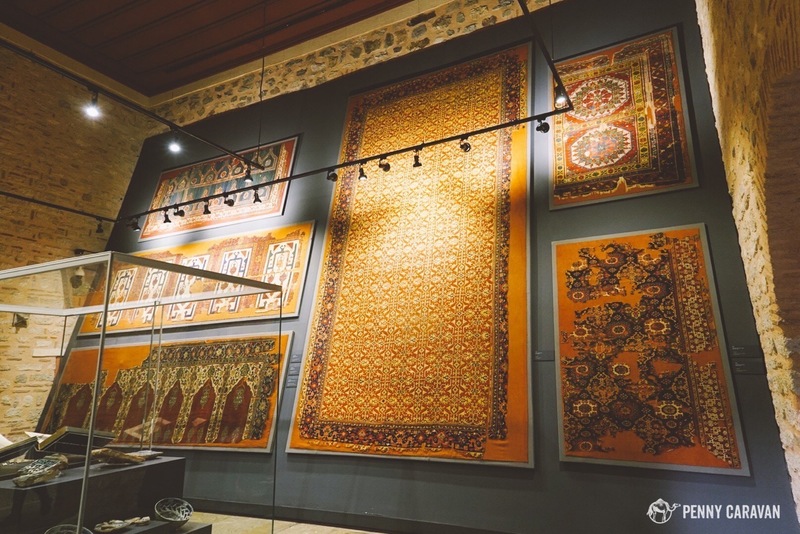 Built in the 1800s on the Topkapi Palace grounds, this museum consists of three separate collections of antiquities—Archaeological Museum, Museum of the Ancient Orient, Museum of Islamic Art. Pieces of the great palace at Persepolis, Iran. 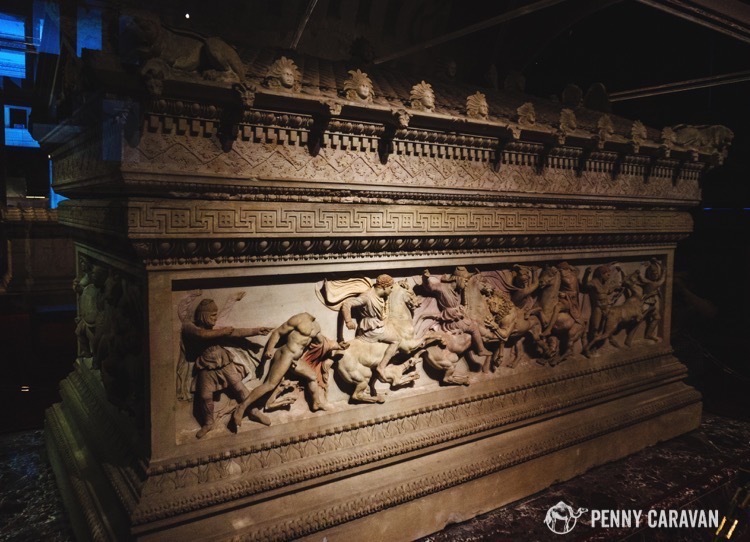 This sarcophagus is such a fine piece that it was thought to have held the remains of Alexander the Great. Though that myth has been debunked, it is still known as The Alexander Sarcophagus. To be honest, we only dropped in to this museum because it was included in our museum pass and we happened to be walking through Gulhane Park where it is located. 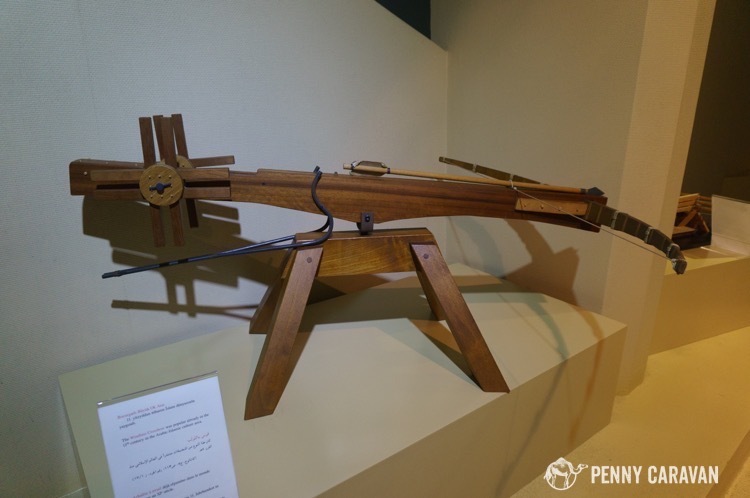 It was mostly full of scale models of ancient technology which was really interesting, just not where I wanted to spend my precious few days in Istanbul. It was well air conditioned, though, and they had really nice bathrooms! The crowning jewel of Istanbul may be one of the most famous buildings in the world. It was built in 537 by the emperor Justinian as a Greek Orthodox Cathedral, converted to a Roman Catholic Cathedral in the 1200’s, to a mosque in the 1400’s, and finally to a museum in 1935. 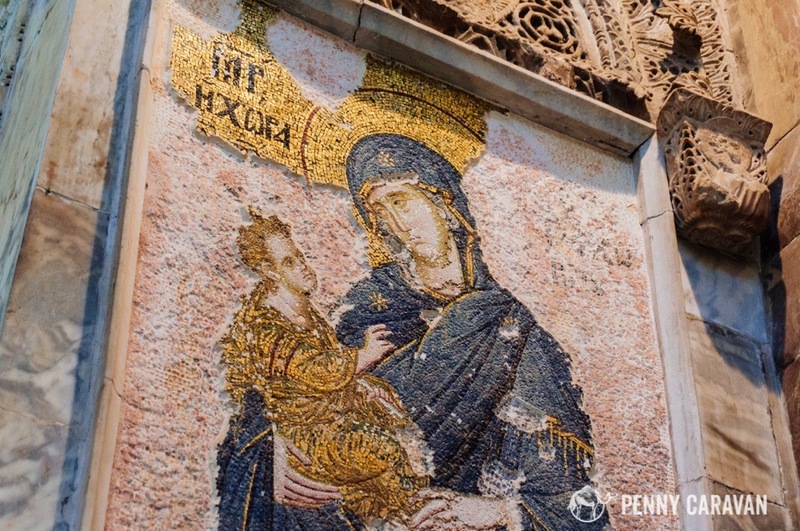 Don’t forget about the upstairs portion where you’ll see the finest examples of Byzantine mosaics! 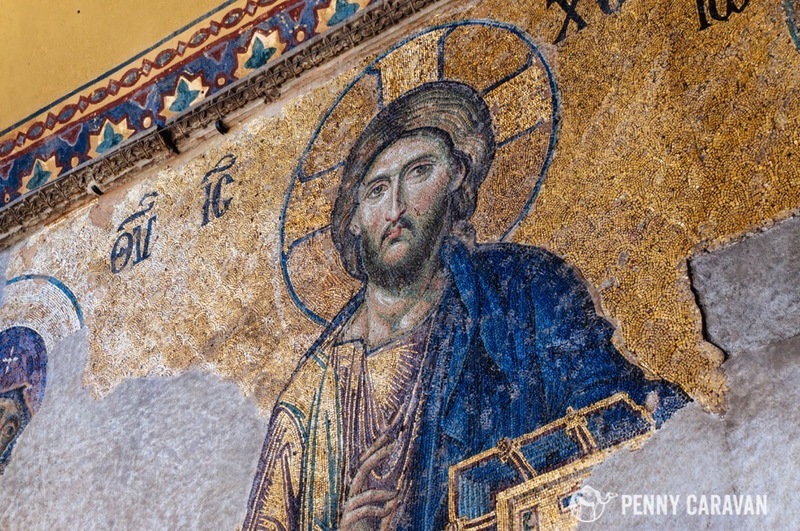 This church was an unexpected highlight for us and may be one of our favorite places to visit in Istanbul. 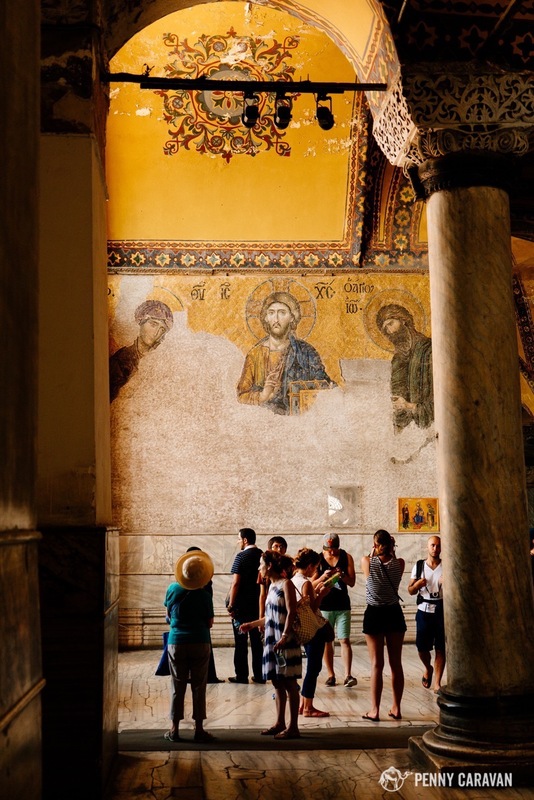 Though it was also converted to a mosque during the Ottoman occupation, the interior decoration was left almost completely intact, making it the most well preserved example of a Byzantine-era church. 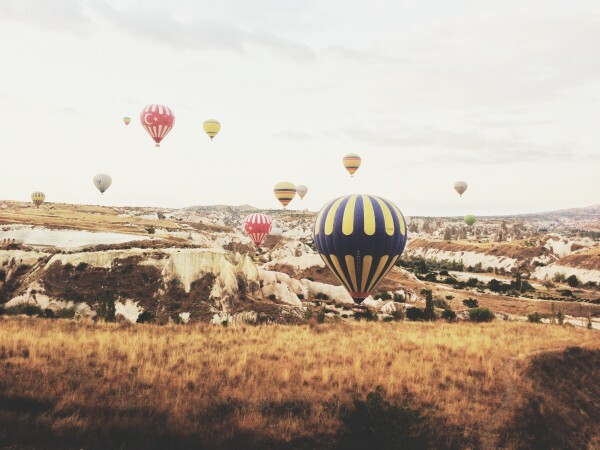 It’s located in the Fatih district in a very cute neighborhood surrounded by lots of artist shops. 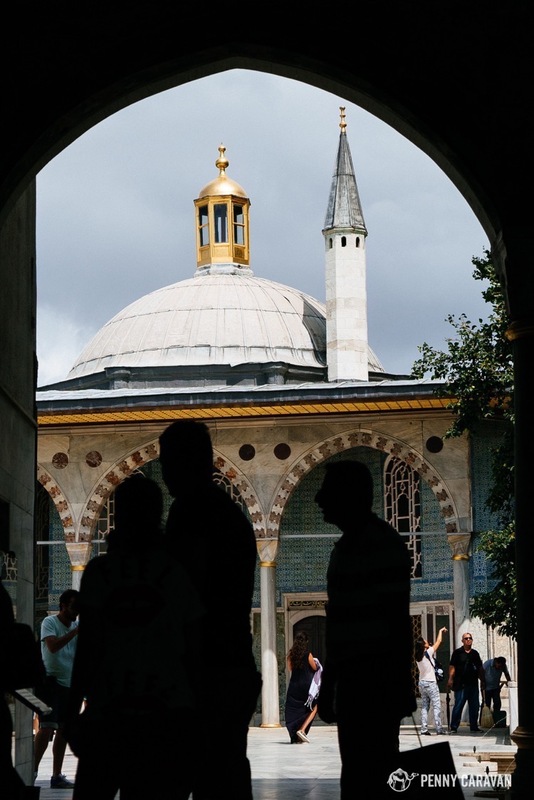 Kilisesi means church, Camii means mosque, and of course Muzesi means museum. Many of these churches that were converted to mosques and then museums are known by all three names. So if you get in a taxi and they don’t understand Kariye Muzesi, for example, try one of the other names it’s been known by. We have visited this church both by metro and by taxi. By metro, there are a few line changes and then a short walk. By taxi, you’ll be driving along the old wall which is an added treat! This attraction is not included in the Museum Pass but is definitely worth a visit! 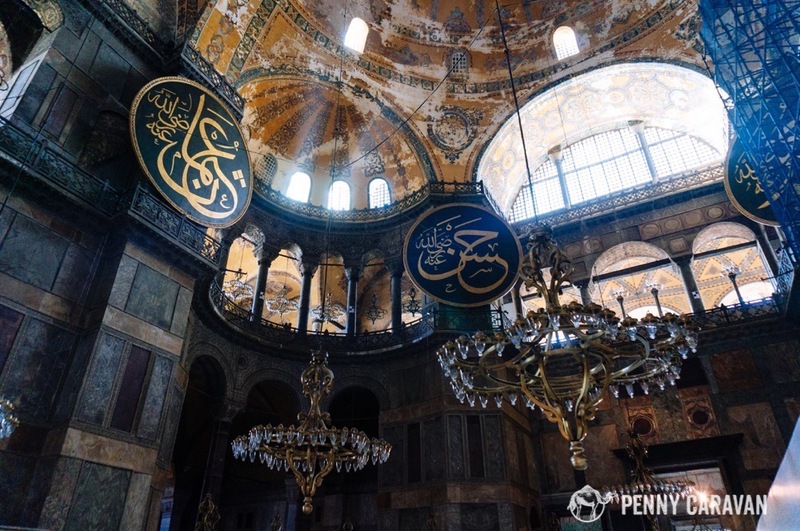 It’s also located in the Sultanahmet area and a short walk from the Hagia Sophia. 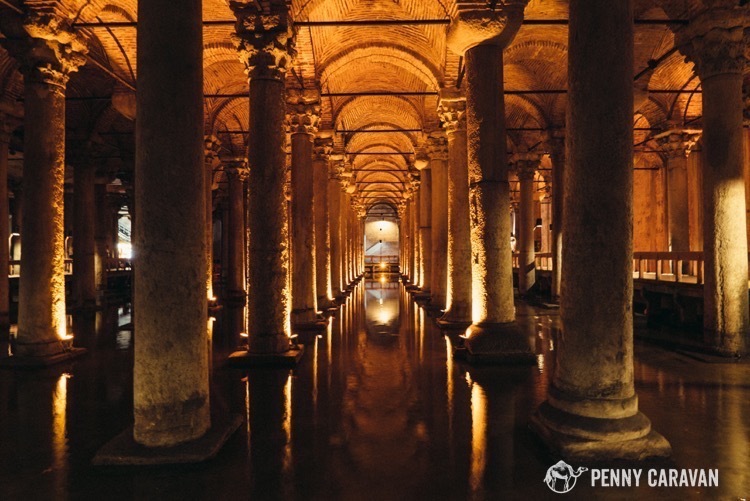 This is one of the ancient cisterns that served the palace built by the emperor Justinian in the 6th century. It was forgotten about and re-discovered in the 1500s when residents told a visiting scholar they were able to catch fish by lowering a bucket into the holes in their floors of their houses. 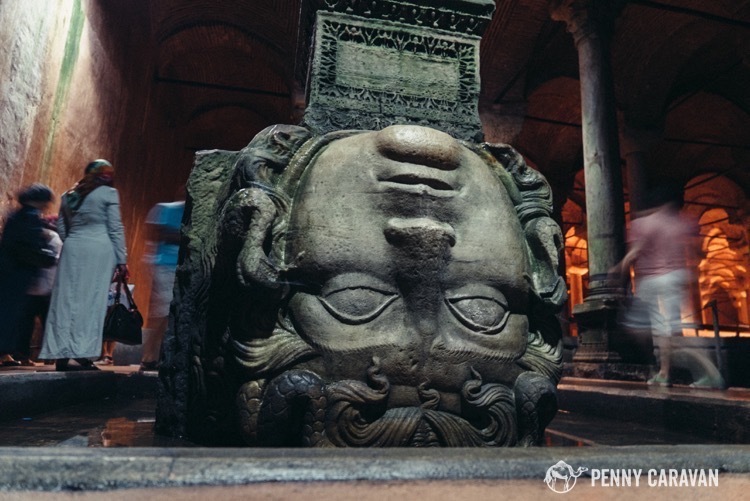 Don’t miss the mysterious Medusa head columns toward the back. 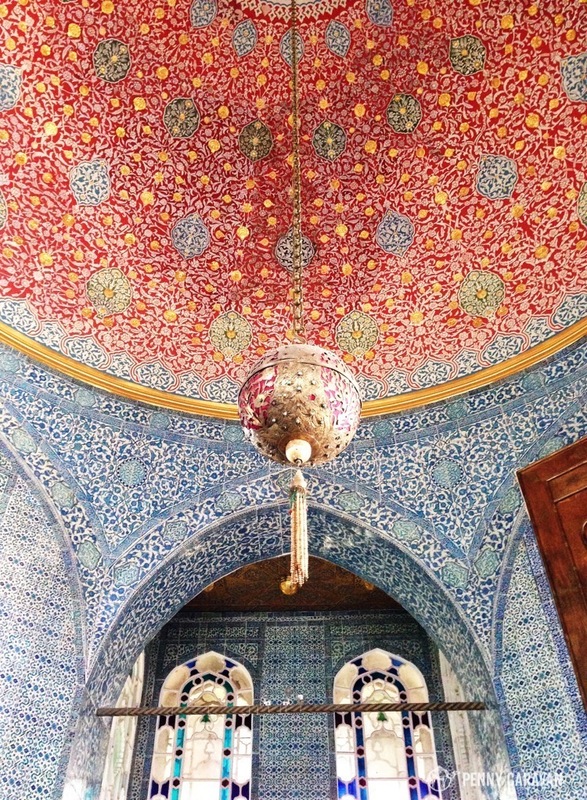 This palace is not covered by the museum pass, but it’s a must-see if you’re looking for Ottoman opulence. 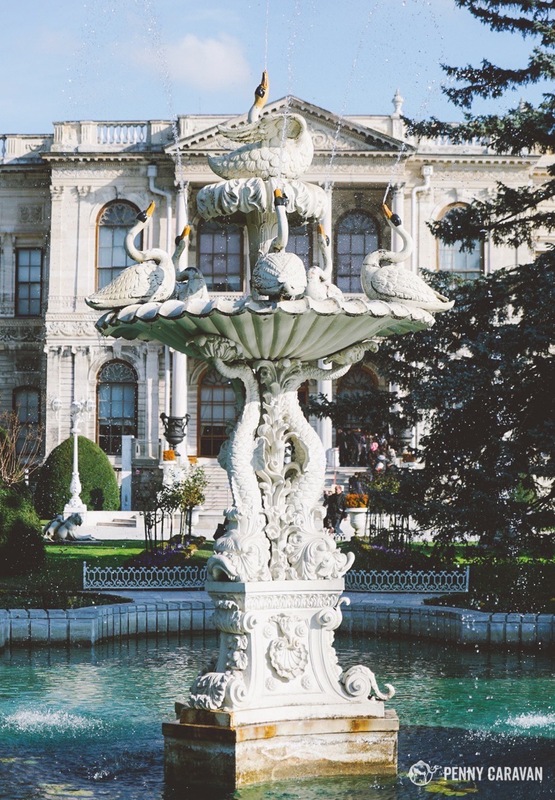 It was built in 1854 as a more contemporary alternative to Topkapi Palace featuring wonderful examples of baroque, rococo, and neo-classical styles. 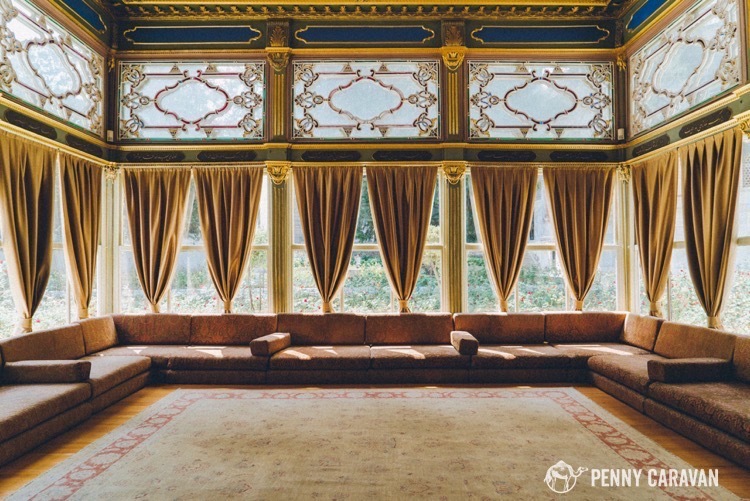 The last Ottoman sultans ruled from here, and more importantly to the Turkish people, Mustafa Kemal Ataturk used this building when he stayed in Istanbul and it was in a room here that he died. The palace is separated into two areas: the Selamlık, or public rooms, and the Harem, or private apartments of the royal family. They have separate entrances, and it is not allowed to enter either independently, but English tours inside are conducted on an hourly basis and are included in the price of your ticket. Also on the grounds are the National Palaces Painting Museum and a Clock Room. Photos are not allowed inside the buildings. 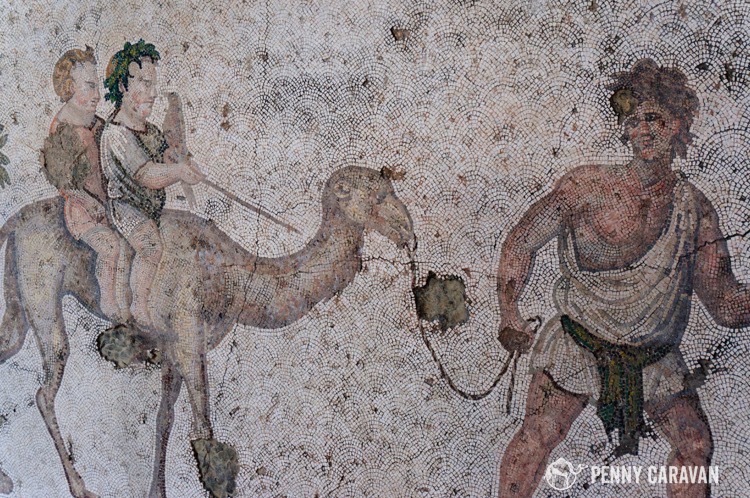 This museum has just undergone a major restoration as it is housed in the 16th century palace of the grand vizier to Suleyman the Magnificent. It houses a fabulous collection of calligraphy and carpets and while it’s not very extensive, it is well worth your time. Don’t miss the Roman-era ruins that are part of the foundation of the building. 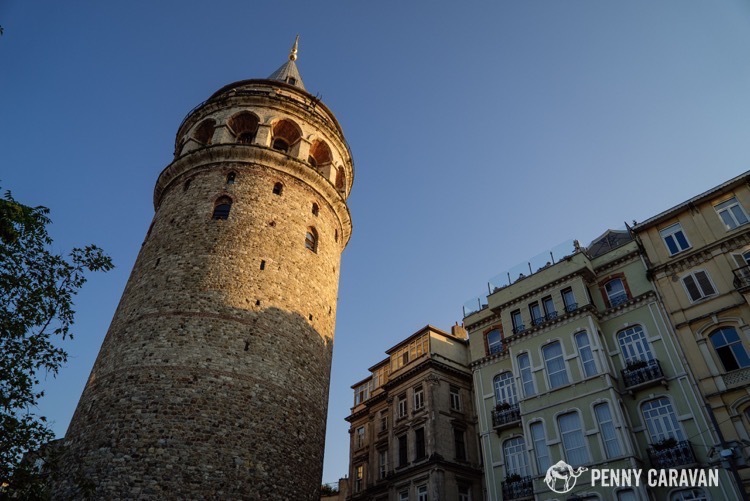 Also not included in the museum pass, but a great way to see 360-degree views of the city, this tower is the central defining feature of the Galata area, which is the area just across the Golden Horn from Sultanahmet. It is known as an eclectic arts district and a great place to hang out in the evening with lots of cute cafes and street performers. The queue can be quite long to get up into the tower, and once you’re up there, it is shoulder-to-shoulder crowded. If you are afraid of heights or get vertigo, I wouldn’t recommend it. But if you’re up there at sunset, you can hear the call to prayer echoing all over the city which is a cool experience. 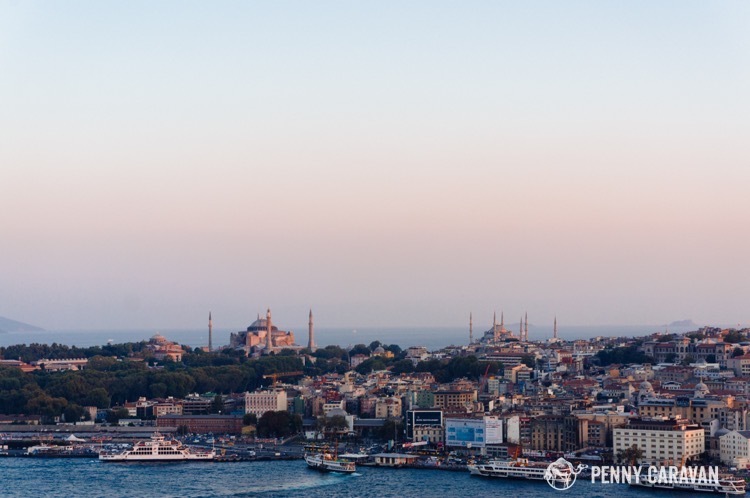 Looking across the Golden Horn from Galata Tower, you can see Topkapi Palace, the Hagia Sophia, and the Blue Mosque. Many thanks for taking the time to write it! Thanks for reading! I’m glad it helped! Good post about wonderful location. I finally planning my journey (to Turkey), so this information will be helpful. Thanks! Cheers.